Elite, lead by a team of industry professionals with more the 60 years of aggregate experience, has been offering transportation and logistical services since 2004. Headquartered in Denver, Colorado, we provide services to the automotive, healthcare and retail/vendor direct industries. We partner with our Clients with the objective of increasing the quality and reducing the cost of services provided. Among other things, we assist our Clients to manage the seasonal peaks and valleys of their business. With more than 145 professional drivers, we successfully complete more than 55,000 deliveries a month. Our fleet of professional drivers treat our Client’s customers with dignity and respect and performs their job with pride and urgency. We utilize Elite ExtraTM, the latest state of the art web-based technology that provides our Client and their customer access to real time information. We have the experience and technical competency to completely understand our Client’s needs and offer integrated transportation and logistical solutions. We currently offer a comprehensive suite of integrated transportation and logistical services which can, and often is, modified to accommodate the unique needs of our Clients. Our staff and professional drivers are dedicated to quality customer service, treating each customer with dignity and respect, while performing their job with pride and urgency. The state of the art technology we use provides our Clients and their customers access to real time information. 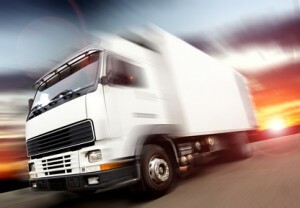 Our experience and technical proficiency allows us to understand our Client’s needs and offer a comprehensive suite of integrated transportation and logistical services which can, and often is, modified to accommodate the unique needs of our Clients. Our staff and professional drivers are experienced and passionate about their jobs, embracing the philosophy of delivering quality customer service. We understand that we represent our Client in the delivery of our service to their customer. Our utilization of Elite ExtraTM, the latest state of the art web-based technology, allows our Clients and their customers access to real time information. In addition, operational reporting provides our Clients with the tools necessary to measure performance and create efficiencies. With the experience and technical competency of our staff to completely understand our Client’s needs we can offer an integrated transportation and logistical solution. Our Staffing Solutions & Fleet Outsourcing, Centralized Distribution and/or Dedicated Distribution system solutions can be modified to meet the unique needs of each Client. Through our suite of transportation and logistical services we can help expand our Client’s business, free up our Client’s management time to focus on its core business and provide cost saving measures all while increasing the quality of service provided to their customers.